Waterford Nearest The Pin Golf Glass Series Awards. Available in 3 sizes, 140mm, 160mm and 180mm high. 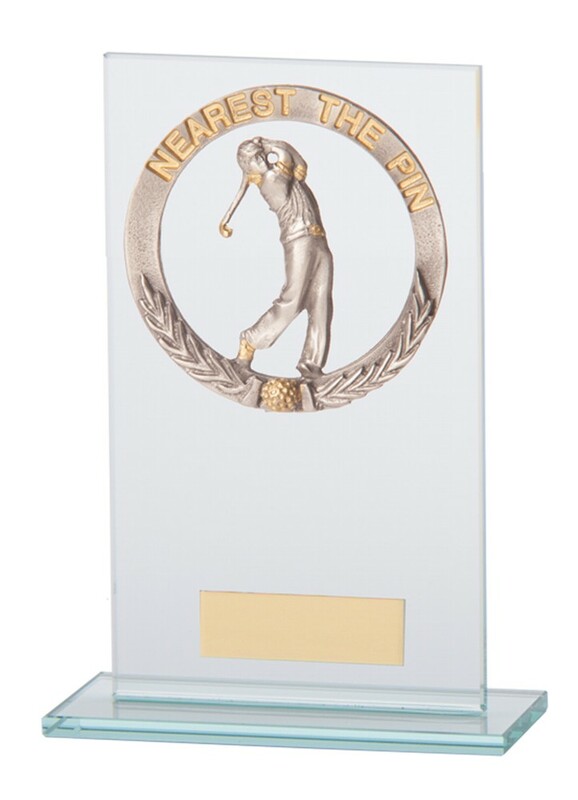 Premium Jade Glass 5 mm thick with a hand cast pewter golf figure and wreath stating Nearest The Pin. Also available for Longest Drive.